The things you don’t expect! Going on a journey to a significant place is important in many religions and cultures. Pilgrim Street seeks to explore pilgrimage in a contemporary setting in the British Isles, valuing the many ancient Christian sites in Britain and further afield and the traditions and rhythms of prayer that are fundamental to these very special places. However Pilgrim Street also seeks to re-interpret pilgrimage in the context of contemporary church life and Christian experience in an increasingly urbanised society. What is distinctive about Pilgrim Street is that all my pilgrimages begin and end at my home on the border of Wales and England in the Brecon Beacons National Park. 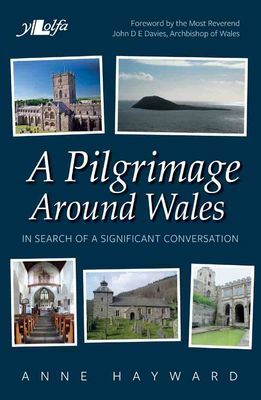 From there, I have walked thousands of miles to places of pilgrimage not only in Wales and England but also further afield to Brittany, Ireland and the Isle of Man.